Unused bar of vintage soap made in West Germany some time before 1980. 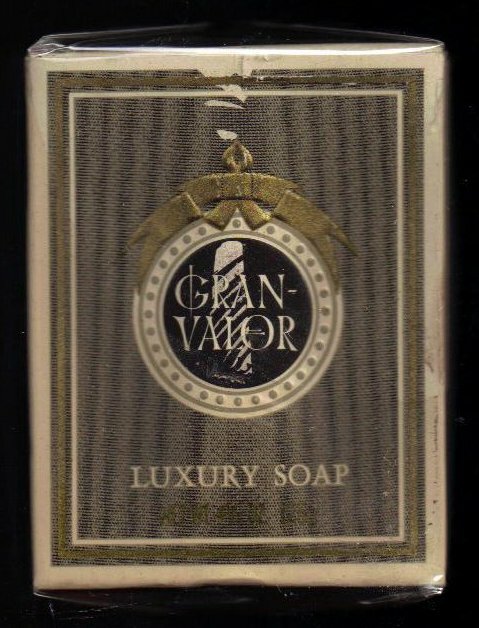 Called Gran-Valor Luxury Soap, perfumed and still smells wonderful. Unused bar of vintage soap made in West Germany some time before 1980. Called Gran-Valor Luxury Soap, perfumed and still smells wonderful. Box was opened but is in mint condition with folded pamphlet inside. I am not sure if this is meant for a man or a woman, but I am sure it is pretty rare and collectible. I have inspected the contents and resealed it in cellophane to protect its integrity. Shipping Included anywhere in the USA.